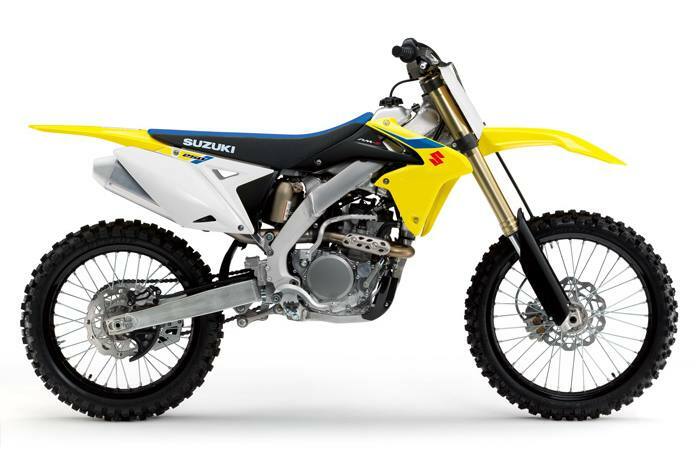 Suzuki Holeshot Assist Control (S-HAC): A selectable launch mode system derived straight from our factory race bikes. S-HAC helps riders takeoff from the starting gate for an early lead. There are two modes riders can choose for the best option per their skill level and starting conditions. A-Mode: For hard surfaces or slippery conditions at the starting gate. In this mode, S-HAC alters ignition timing at the moment of launch and the ride over the gate to reduce wheel slip to deliver a smooth take off. It also advances ignition timing during this sequence for stronger acceleration. The ignition will return to normal operation 6 seconds after the start, or when you shift into fourth gear; or when the throttle is closed (whichever happens first). Holding down the S-HAC button on the left handlebar for more than 0.7 second will activate A-Mode and the indicator light will start to slowly flash. B-Mode: When conditions at the starting gate have better traction, and a more aggressive launch is desired. S-HAC will advance the ignition timing to allow increased throttle response and stronger acceleration off the line. The ignition timing alternation is in a similar sequence as Mode A, but with increased overall timing. The ignition will return to normal operation 6 seconds after the start, or when you shift into fourth gear; or when the throttle is closed (whichever happens first). Holding down the S-HAC button on the left handlebar for more than 1.8 seconds will activate B-Mode and the indicator light will start to quickly flash. The S-HAC light also provides fuel injection self-diagnostic indication plus engine run time codes. New design KYB PSF2 Fork: Pneumatic Spring front fork uses air chambers in place of steel springs for light weight, easy adjustability, improved damper performance and smooth action from low friction. 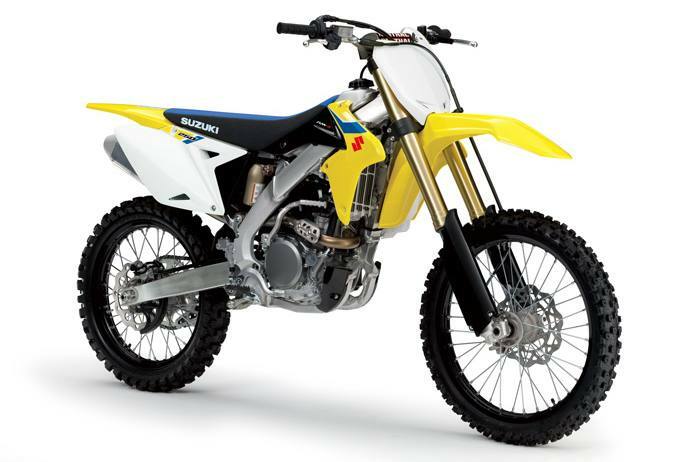 Riders can adjust both air forks with one balanced air pressure setting from a hand-pump. Compression damping is adjustable while rebound damping force is both high- and low-speed adjustable. New design KYB rear shock absorber: Connected link style to the swingarm via re-shaped cushion rods and spacers. The nitrogen-charged, piggyback style shock features a new top-mounted integral adjuster system for easy adjustment of the high- and low-speed rebound, and high- and low-speed compression damping force adjusters. Spring preload can be precisely tuned via a threaded collar on the main shock body.